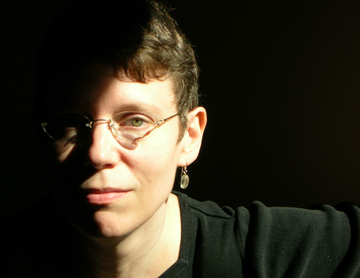 QCO Artist-in- Residence Nina Paley will be speaking on a panel on October 1, 2011 at the Pages & Places Book Festival in Scranton, PA. The panel entitled "Free As In Freedom" will be a lively discussion between Nina and the founder of the free software movement Richard M. Stallman. Considering Richard and Nina haven't seen each other since she issued her Rantifesto, which challenges the reluctance shown by many in the free software community to embrace free culture, it is sure to be a rousing debate! More details here. Will this panel discussion be recorded and available for viewing afterward for those of us not able to make it to Scranton? I would love to be at this discussion, but won't be able to be in Scranton on Oct. 1. Hey Peter, we'll look into it! If we can get a recording, we will definitely do so and share it on the blog!